The mayor of the ever increasingly violent city of London is now seeking a ban on cars in certain areas after a “car attack.” Since banning guns and regulating knives hasn’t worked, Sadiq Khan said he’s likely to ban cars to prevent future terrorist attacks. Violence in London continues to spike regardless of the weapons used by those committing acts of aggression. But since a gun ban and severe knife regulations have failed to stop violence, Khan wants certain areas to be “car free zones” in response to an alleged terror attack committed with a car. According to Politico, Khan says his proposed car ban would help keep people and buildings safe after car drives into cyclists and pedestrians. Kahn’s proposal comes after three people were injured when police say a car collided with a number of cyclists and pedestrians before crashing into barriers that line the Houses of Parliament. Police have arrested a 29-year-old British citizen originally from Sudan, identified as Salih Khater by British media outlets, on suspicion of committing the attack. Police claim that the alleged terrorist drove his Ford Fiesta from Birmingham to London late on Monday night. Just before the attack, police say he had been driving around the area of Westminster and Whitehall for about an hour and a half before driving into pedestrians and cyclists. 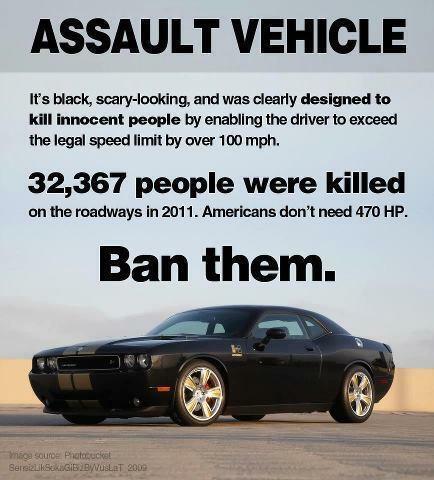 Well, since all the other laws aimed at preventing violence have failed, why not just keep banning things? Pretty soon, everything will be illegal in the UK and the people will wonder when they actually became slaves to the government.